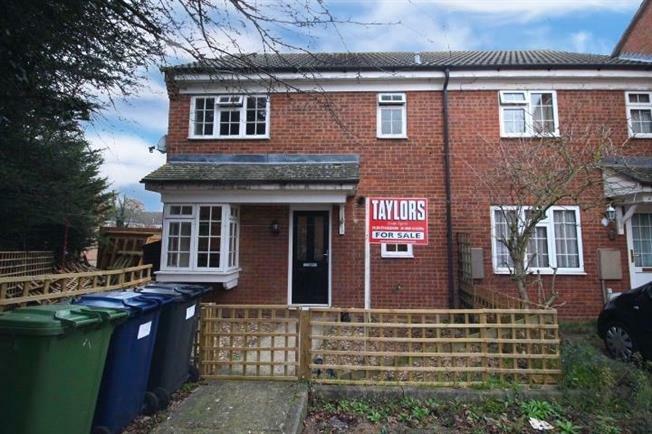 1 Bedroom Terraced House For Sale in Huntingdon for Offers in excess of £140,000. UPVC double glazed bay window to front aspect, stairs to first floor, TV point, telephone point, textured ceiling. Fitted in a range of units with work surfaces and tiling, glass fronted display cabinets, under stairs storage cupboard, single drainer sink unit, plumbing for automatic dishwasher, gas cooker point, textured ceiling, ceramic tiled flooring. Fitted in a three piece white suite comprising low level WC, pedestal wash hand basin with tiling, panel bath with mixer tap, UPVC window to side, textured ceiling. UPVC window to front, radiator, fitted cupboard unit, textured ceiling. Designated parking for one vehicle. The gardens are lawned and enclosed by hedging and picket fencing.